I occasionally get a craving for a solid chocolate chip cookie. It’s definitely not my go-to dessert but every so often, a soft cookie hits the spot. The problem, however, is that I buy a bag of chocolate chips and end up snacking on the bag before I actually get around to making the cookies which is where these kitchen sink cookies come in handy. 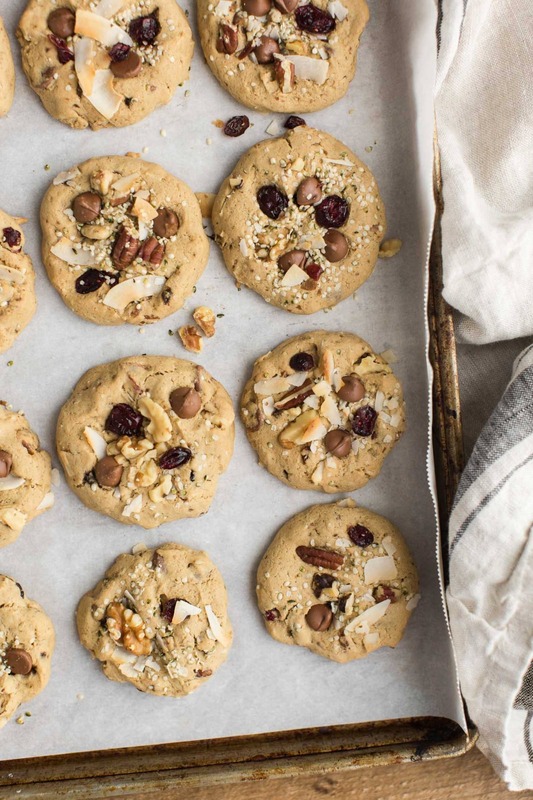 I usually make a batch of these cookies when I have random almost-gone bags of nuts, seeds, and chocolate chips. You can throw really anything you have around but the items listed in the recipe are my go-to ingredients. 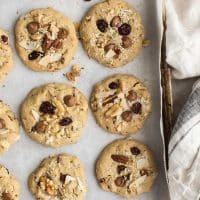 Gluten-free cookies that use whatever types of nuts, seeds, chocolate chips, and/or dried fruit you might have on hand. Perfect for using the last little bits in your pantry! In a mixing bowl with paddle attachment, beat together butter with sugars until sugar is blended and mixture is fluffy. Add vanilla, baking powder, salt, baking soda, then add the egg-continue to beat until everything is well incorporated. Finally, measure in the flour and mix until dough comes together and everything is well incorporated. Add in 1 cup of the chocolate chips, nuts, seeds, and dried fruit as desired. Measure dough into roughly 2 tablespoon balls. Flatten ball with the palm of your hand then sprinkle a few extra pieces of the chocolate chip mixture on top, pressing down into the cookie. Bake for about 12 to 14 minutes or until edges are lightly brown. Bottoms of the cookies should be golden and the tops of the cookies should be set. Remove from oven and let cool, cookies will continue to set as they cool. 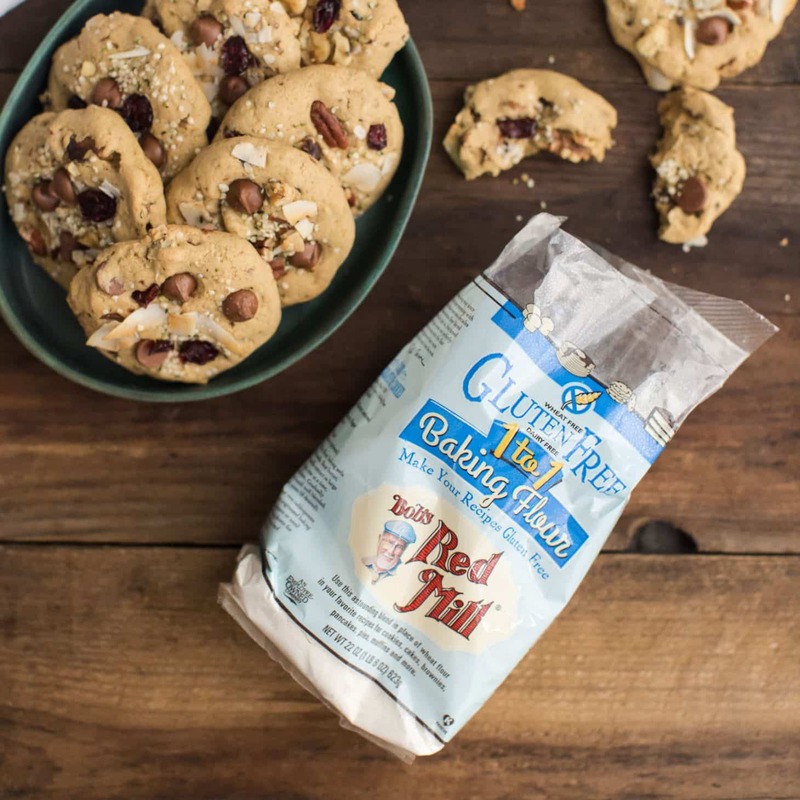 Tips & Tricks: I’ve found the best combination for these cookies is a mix of 1/2 chocolate chips, 1/4 cup pecans, 1/4 cup dried cranberries, and 1/4 cup dried coconut flakes. Oatmeal: I like adding 1/4 cup of quick oats to the mix for 1/4 cup of the flour. 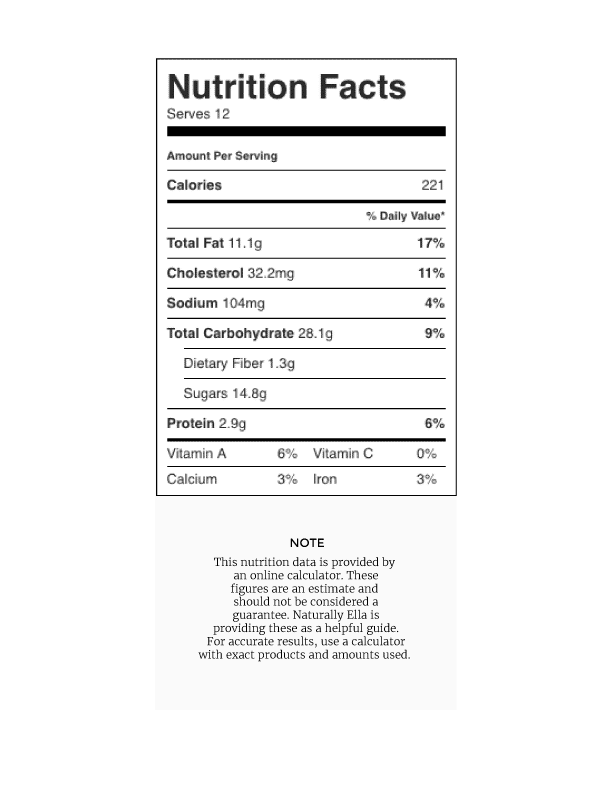 Adds just a nice undertone of oats to the overall flavor of the cookie. Brown Butter: Follow a similar procedure as this recipe to brown the butter first. The flavor is really good and feels just a bit indulgent. These look amazing- can’t wait to make them. 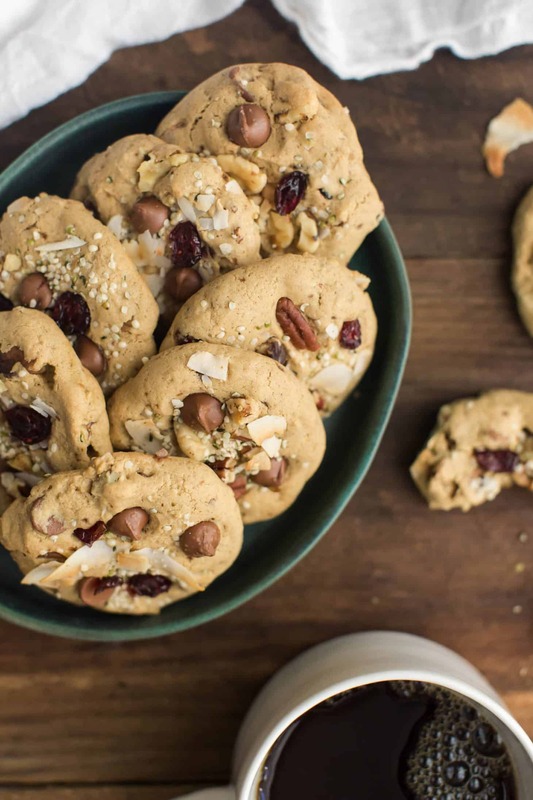 I love the idea of hemp seeds in a cookie!